On Saturday March 8th Penygraig Community Project and ArtWorks were pleased to welcome everyone to the Penygraig Dance Sharing, an evening that celebrated the talent that exists in our communities across Rhondda Cynon Taff. It was an opportunity for the young people and their mentors to showcase their hard work and talent, in their very own style of dance. An explosive and exciting event with a mix of ages and an array of many styles of dance, including street dance, hip hop, creative dance and break dancing. We would like to thank everyone from the local community and beyond, for their outstanding support. 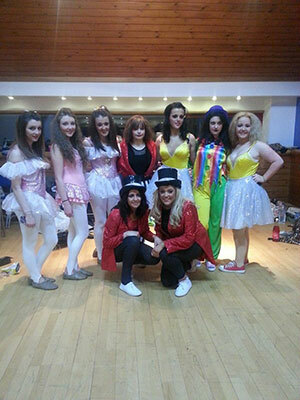 The show was a complete sellout with proud friends and families there to cheer the young people on! It’s Mayday, and a group of misfit children are specially chosen to close the day’s festivities; but as they gather together in uniform to rehearse the village anthem, all is not well. Tubbsy’s hiding a cat in his bag; Deirdre-May’s grieving her Nanna and Mark’s turned up as a stegosauras. As the rehearsal breaks down, they soon begin to suspect that they’ve been chosen for a far darker purpose…. 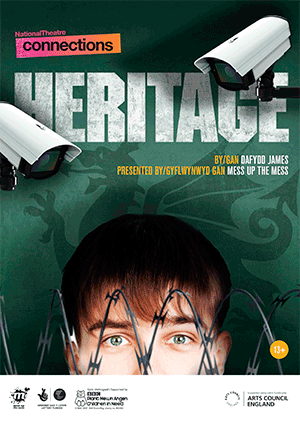 Heritage is a blistering black comedy with music that explores the darker side of nationalism. Once again, Penygraig Community Project and ArtWorks are pleased to welcome you all to the Penygraig Dance Sharing; an evening to celebrate the talent that exists in our communities across Rhondda Cynon Taff. It will be an opportunity for the young people and their mentors to showcase their hard work and talent, in their very own style of dance. An explosive and exciting event with a mix of ages and an array of many styles of dance, including street dance, hip hop, creative dance and break dancing. The support so far from the local communities and beyond has been outstanding and we hope you’ll be there on the night, to continue your support and cheer on our young people. We would like to say a massive thank you to all the volunteers of this event! This would not have been possible without all your hard work and dedication. The evening will conclude with Tea and Coffee to appreciate the hard work and dedication of all those involved who made this event possible. Please note: All the tickets for this event have gone!! !